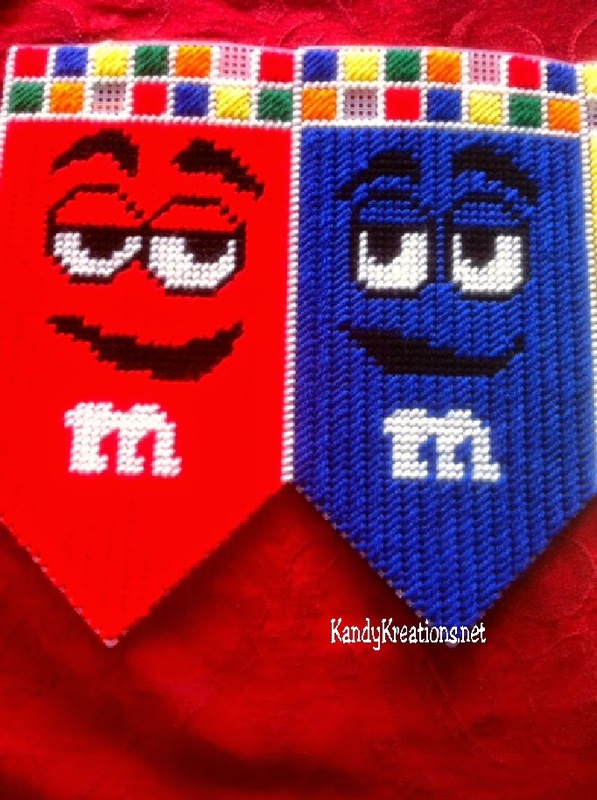 Decorate your home, kitchen, or chocolate party with this fun M&M Banner Plastic Canvas pattern. Get all six candies in a fun, free pattern that's easy to sew. With the thought of moving and candy on the brain, I'm not too surprised that my brain decided to create a M&M Banner to decorate my Valentine chocolate party. I'm pretty excited with how it turned out and already plan to use it as a window valance in my new kitchen decorations after the move next month. 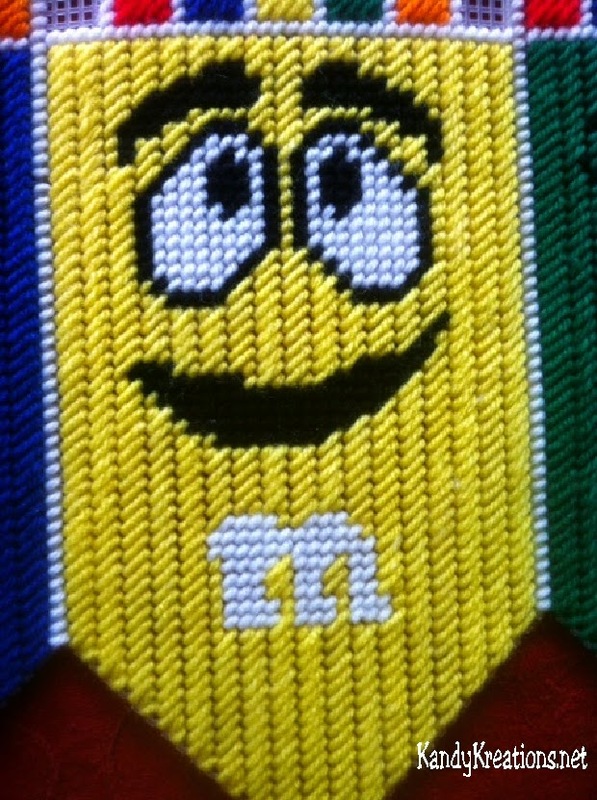 I created all six M&M characters. 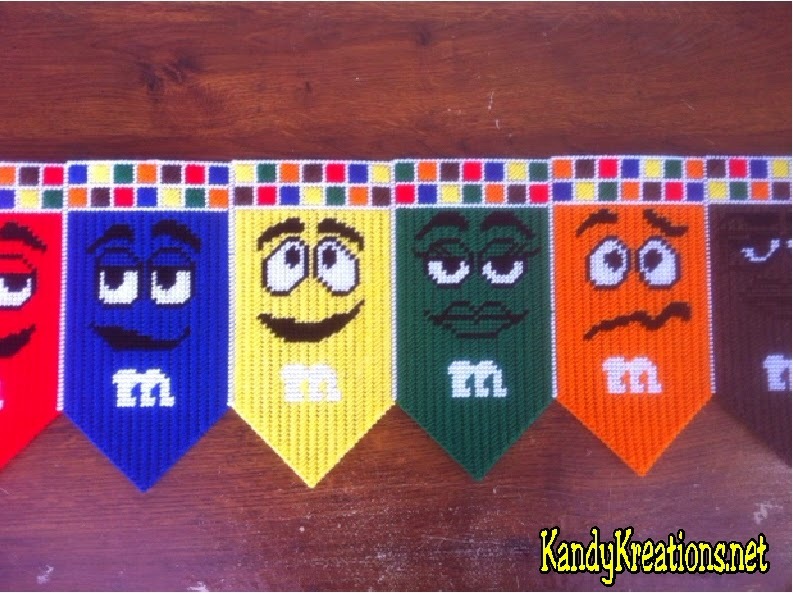 With this free M&M pattern, you'll get Red, Yellow, Blue, Orange, Green, and Mrs. Brown to decorate your chocolate party or kitchen decor. It took me about 1 1/2 to sew each character, so with a good Binge watch of your favorite tv show, you can have this whole banner sewn and hanging in no time at all. 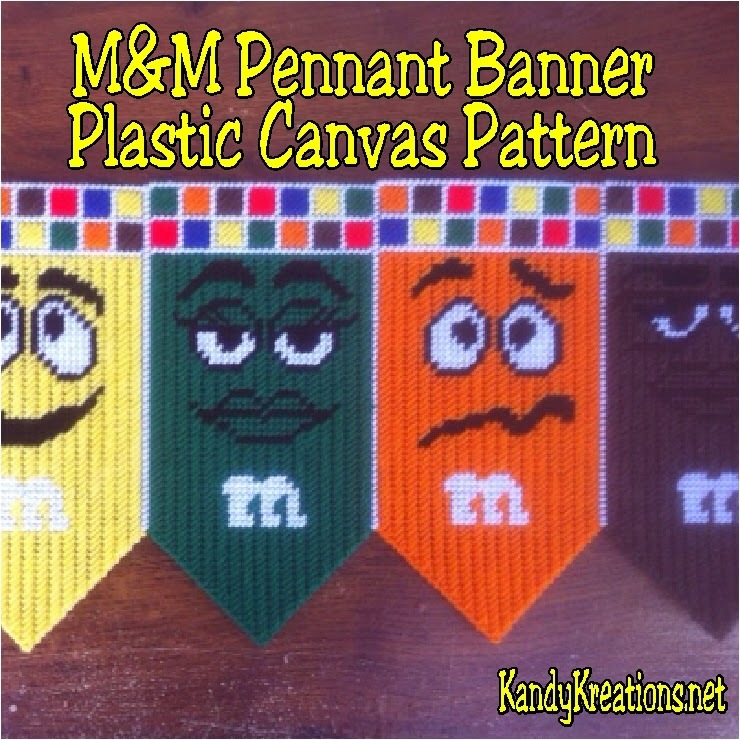 Start by cutting your pattern out of plastic canvas using the M&M Banner pattern. 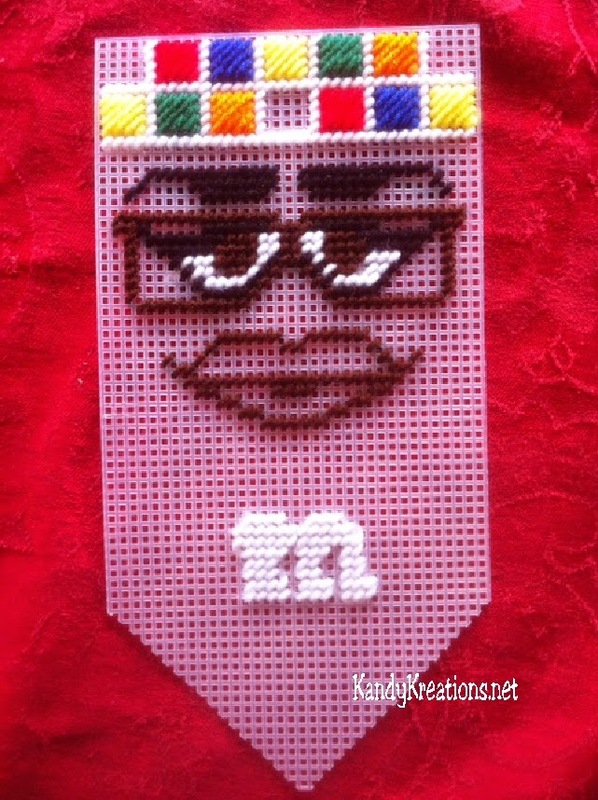 Sew the facial features and the "M" first. Fill the inside pattern with the appropriate color. Overcast the edges on the bottom. Sew the top colors on each of the banners. Using white yarn, overcast the top edges and join the sides together. Find the pattern for Yellow Here. Get all 6 banners Characters here. Then be sure to post a picture on our Facebook page if you make it! I would LOVE, LOVE, LOVE to see!